You are here: Home / News / Wedding / Celebrate your wedding anniversary “à la française” ! Celebrate your wedding anniversary “à la française” ! You just realized it’s been 10 years you’re married to your loved one, and you have no idea which gift to offer her/him for your wedding anniversary ? Because your wedding is an unforgettable memory, you shouldn’t forget to thank your partner for sharing her/his life with you everyday. Each wedding anniversary is a way to reminds this beautiful day, several years ago, but also to spend a good time just the two of you ! For this special occasion, why don’t you offer her/him a journey in the most romantic country of the world ? 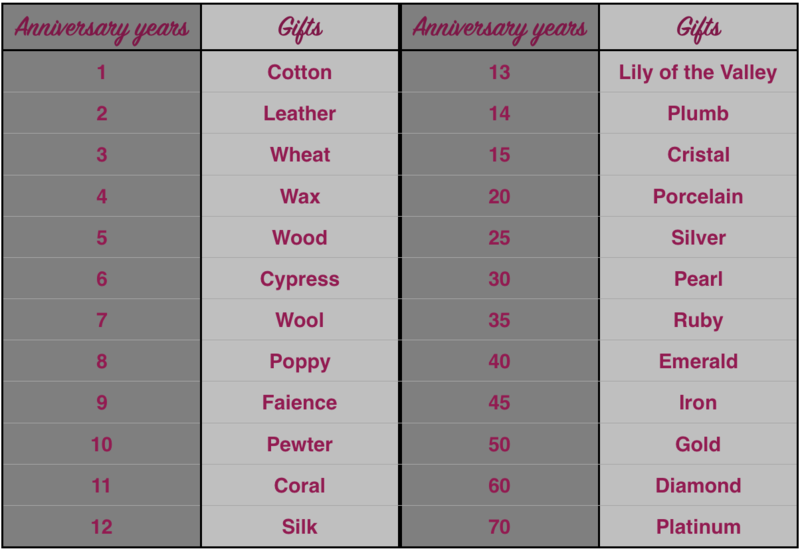 As it is in the French culture, discover to what gift correspond your wedding anniversary ! Cotton : It’s been one year since you got married ? Cottons flowers could be a great idea for her, and for him why not a 100% cotton sweater ? Leather : A cute idea for both of you would be a leather bracelet with your wedding date and your first letter names engraved, but you can stay more classical, a leather wallet or purse is also a great gift. Wheat : For your 3rd wedding anniversary, escape in the countryside to enjoy the calmness of the nature, and why not to have a romantic picnic there ? Wax : Romantic restaurant or cute dinner at home, do not forget to light up candles ! Pewter : After ten years, it becomes difficult to find ideas… The best idea remains to plan a wedding renewal ceremony ! 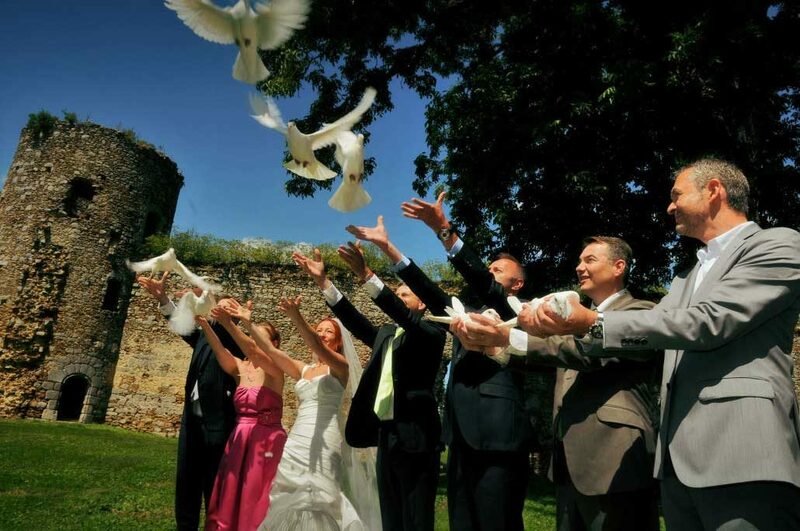 Flovinno can organize your journey in France to remind you the best day of your life as it was yesterday ! Pearl : After 30 years, your wife deserves a beautiful pearl necklace, doesn’t she ? And for your husband, a dozen of oysters would be a pleasure for sure ! Emerald : The emerald is a green precious stone. You can offer him or her a jewel with emerald inside ! Gold : 50 years of love is very symbolic in France. You can plan a journey in France to renew your wedding vows, or a cruise… But of course a golden jewel would be a great surprise too. Diamond : The diamond represents eternal love. A diamond ring could be a good idea for her ! Now that you have lots of ideas, please contact us, and we will help you to organize your wedding anniversary ! https://www.flovinno.com/wp-content/uploads/2016/04/lacher-de-colombes-2.jpg 684 1030 Vincent https://www.flovinno.com/wp-content/uploads/2017/05/logo-flovinno-wedding-english-moins-lourd-300x156.jpg Vincent2017-06-06 11:11:142017-06-07 14:36:37Celebrate your wedding anniversary "à la française" !